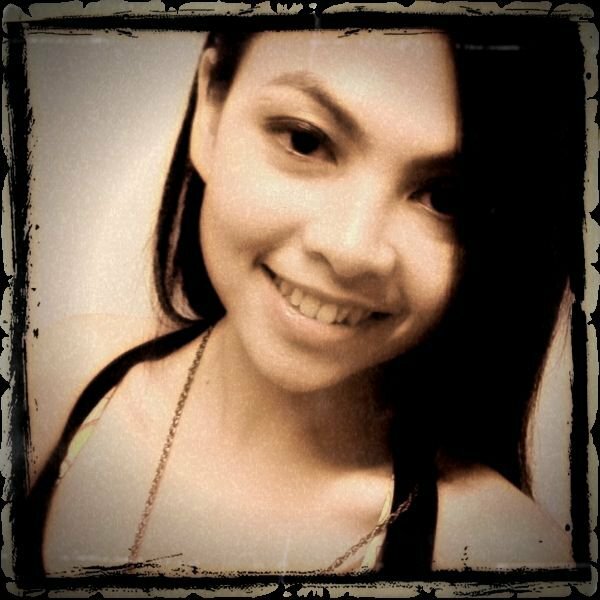 Day 7 of Kiwi Challenge - half of the challenge :). Today's mission is to prepare a delicious and convenient kiwifruit snack. 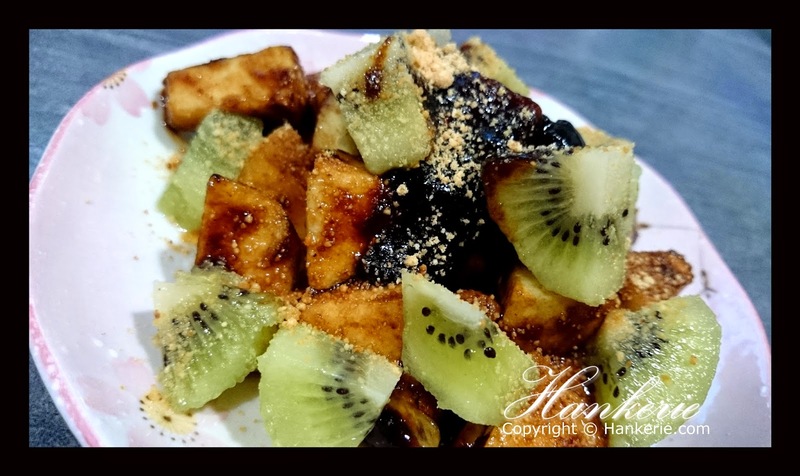 Talk about snack, in ASEAN countries particularly in Malaysia, Singapore and Indonesia, Rojak is our famous snack. Rojak is a spicy salad dish made with sliced or shredded fruits and vegetables. 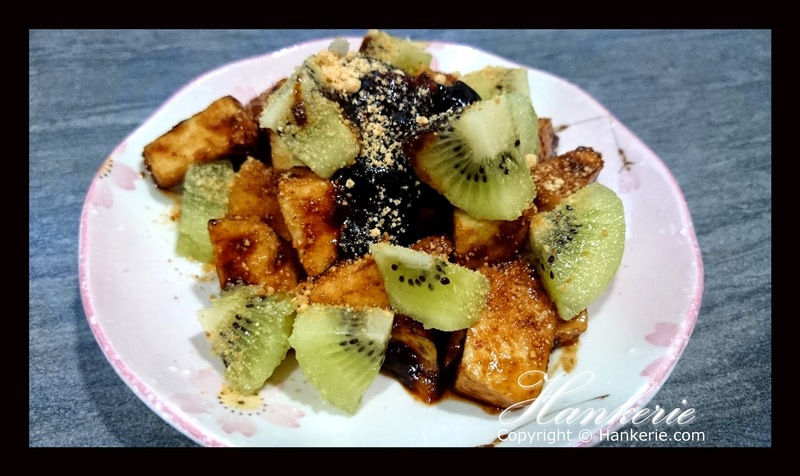 Typically they are two types of Rojak in malaysia, you may find fruit rojak in most of the North Malaysia whilst Crunchy rojak in South Malaysia. A sauce made of tamarind pulp, lime juice, ground chili and shrimp paste is a crucial ingredient. Rojak, Malay for “wild mix,” is typically served as an appetizer or a meal in its own right. The dish is called rujak in Indonesia. For those non-ASEAN countries, you may find easily the ready made sauce in any ASEAN store in your country too. 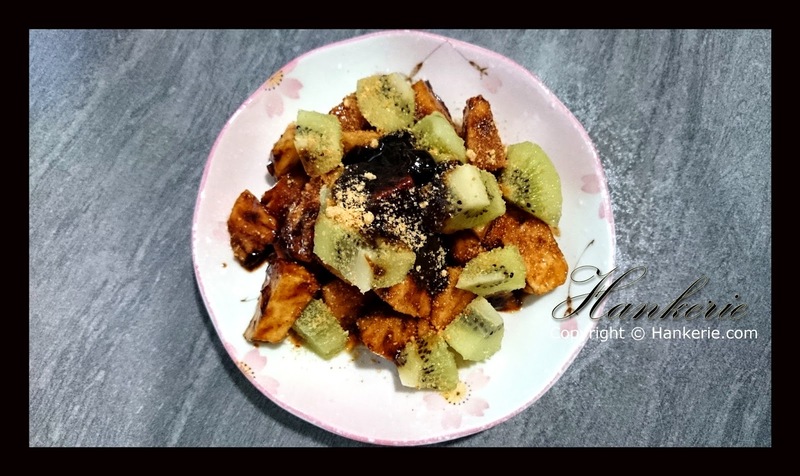 Today I made 5 simple ingredients for this delicious fruit rojak.Made from tangy and sweet kiwis, pineapples and guave, it’s the most simple and tasty rojak which includes all the acquire taste and crunch .It’s not only tasty but also nutritious. Kiwi is high in nutrients, minerals & proteins. And guava contains a lot of Vitamin A,B as well C, it is very good for the nourishment of skin and also has a whitening effect on it. 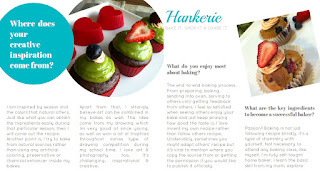 Here is my Hankerie's recipe on this Homemade Rojak. Preparation time only less than 10 minutes. 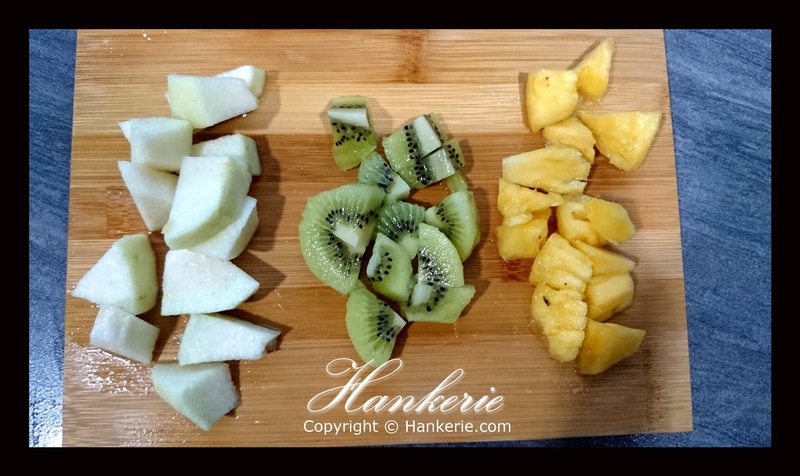 Wash and cut all the fruits into cubes. Set aside. To make the dressing, mix the tamarind powder with a little water in a bowl. Mix 3 spoonful of rojak paste, it should be a thick puree. Stir until the tamarind water is mixed well with paste. Taste to see if you want to add any more chilli or palm sugar depends on your own taste. Mix with all the fruits into paste, follow by kiwifruits. Sprinkle some roasted peanut ground on it and enjoy!